The hiring of Kasper Rorsted from Henkel to replace Herbert Hainer set the German sportswear company’s stock dashing upward. To catch rivals Nike and Under Armour, Adidas will have to up its performance. Expectations look high, though, for a long race with many hurdles. 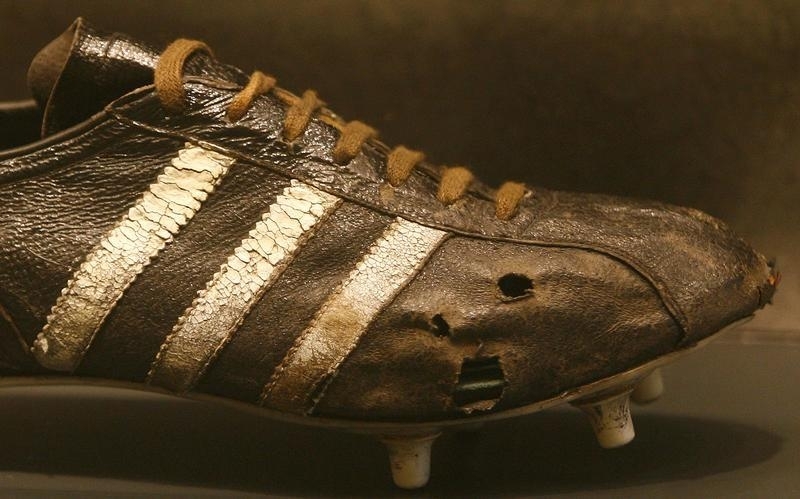 A used Adidas shoe worn by German soccer legend Franz Beckenbauer, displayed at Adidas headquarters in the northern Bavarian town of Herzogenaurach. What's the difference between Adidas and Nike? German sportswear company Adidas said on Jan. 18 it had hired Henkel Chief Executive Kasper Rorsted to replace outgoing chief Herbert Hainer, effective Oct. 1. Henkel said Rorsted opted not to renew his existing contract and would leave the company on April 30. The German maker of laundry soaps, beauty care goods and adhesives appointed Hans Van Bylen, its executive vice president of beauty care, to replace Rorsted.